The party accused him of allying with the Congress and likened him to epic Mahabharata's character Shishupal, an arrogant king who met his end after insulting Lord Krishna repeatedly. 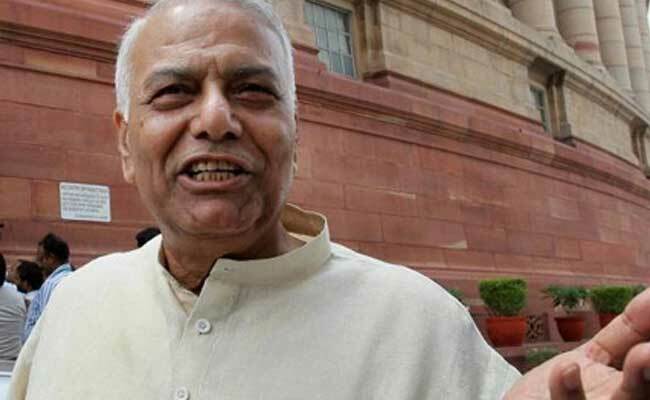 New Delhi: The BJP on Thursday hit out at party leader Yashwant Sinha over his remarks concerning party leaders and about the government's handling of the economy, saying his "treacherous activities are reaching the tolerance point". Bharatiya Janata Party leader GVL Narasimha Rao said in response to Sinha's remarks that the former Finance Minister was glossing over his own performance. The party termed Mr Sinha "an ever job-seeking Sinha". "He has turned an unabashed apologist for the corrupt, inflationary, anti-poor and disastrous economic governance of the Congress-led UPA government at the Centre, a party in which he has found a new ally to seek his next job. It remains to be seen what a 'jobless' Rahul Gandhi can offer to an ever job-seeking Sinha," Mr Rao said. Mr Sinha, who released a book of Congress leader Manish Tewari, referred to Prime Minister Narendra Modi's mention of Shalya, a character from Mahabharata, and virtually compared PM Modi and BJP chief Amit Shah with the eldest Kaurava brothers Duryodhana and Dushasan.